#TimesUpHancock - #TimeUpHancock -- "Times Up Michael Hancock" ... says "Lisa Calderon, of the Colorado Latino Forum. Lisa Calderon Attorney - Lisa Calderon running for Denver Mayor 2019. Calderon a criminal justice Professor at Regis University. 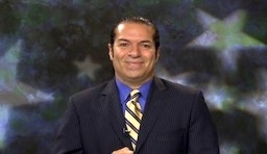 How Credible is the "Colorado Latino Forum"? 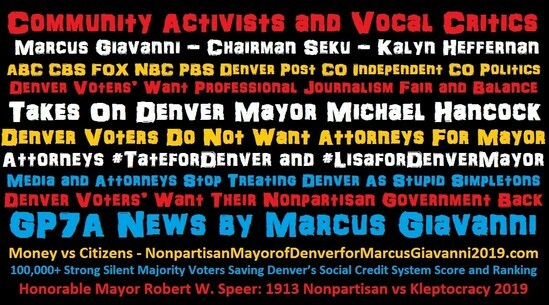 Many Denver Voters wanted a 2015 Denver Mayoral Debates. There were many individuals, and organizations like League of Women Voters - Denver (LWV-D, was categorized a mouth piece of the Democratic Party of Denver, Colorado in 2015. Although the League of Women Voters - Denver. And in 1976, They was already labeled as a mouthpiece for the democratic party It was official in 2015. And Denver was categorized as a Monopoly Government).